Welcome to our information section. 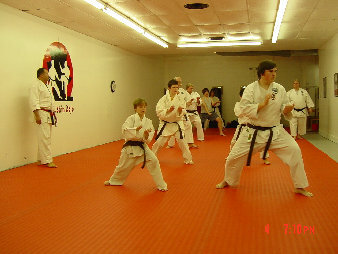 Here we present background information on everything relating to our dojo, from the definition of karate, to the history of our style, to maps and legal notices. Click any of the links below to be taken to the appropriate page. What Is Karate? - Article on the meaning of this historic martial art. History of Shotokan - The history of our style, from its roots to the present day. Class Schedule - Calendar of all the various classes and events held at the dojo. Legal and Privacy - Privacy, copyright, and other legal info can be found here. Location - map of the surrounding area and directions to our dojo.